Eastern Washington State is one of the premier growing regions for sweet cherries in the world, possessing both good soils and climate. But cherries have weather vulnerabilities that can cause severe loss of fruit. One of them is frost during the budding season, but that has not been much of a problem during the past few years due to our unusually warm weather. But there is another: rain just before harvest that can cause fruit to split. Recently, unusually heavy rain hit California, halving their harvest. Very bad. Typically, the Washington State cherry harvest starts around June 1st. 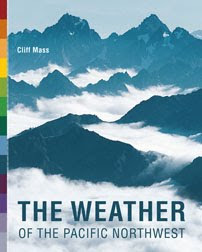 But with unusually warm weather, the date will probably move up to May 23rd, according to what I have been reading in the Ag magazines. Very soon. The problem is that with a trough of low pressure moving over us, significant rain is forecast during the next several days (see the WRF model 24h total ending 5 PM Saturday)... .5-1 inches over some of the cherry growing region over the eastern slopes of the Cascades. Heavier amounts in some location. This is very good for general moisture over eastern WA and to keep the fire threat down. According to the agricultural experts at WSU, when cherries are close to harvest the pressure inside increases. 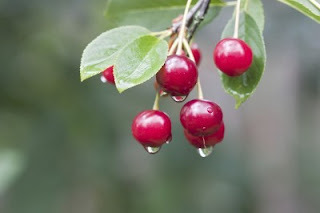 Rain, particularly when the weather is warm, can be absorbed through the outer surface of the cherry (called the cuticle), sometimes leading to the bursting of the cherry. Heavy thunderstorms during warm weather are particularly problematic. Burst cherries may not look great, but are certainly valuable for many uses (juice, jam, etc.). They are less valuable. 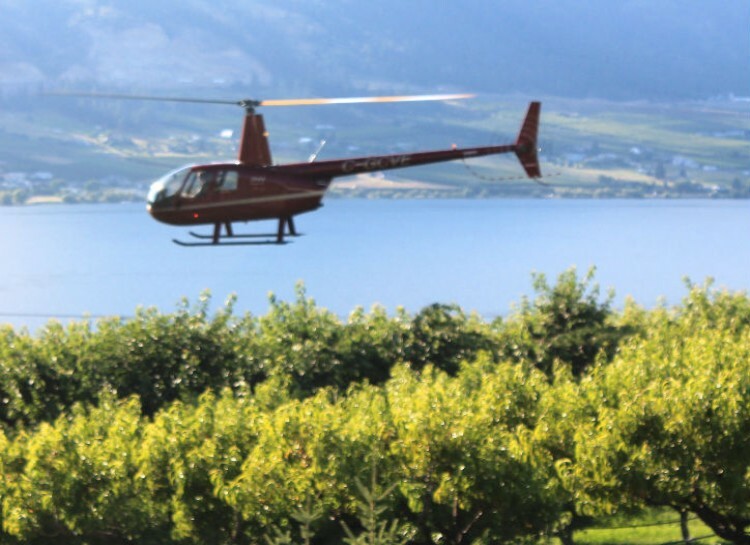 Growers have a number of approaches to deal with rain on cherries, including blowers and running helicopters over orchards. The main rain threat is on Friday/Saturday as the upper low passes south of Washington and precipitation swings northward over eastern Washington, accompanied by easterly (upslope flow)--see upper level (500 hPa) map for Friday at 11 PM. 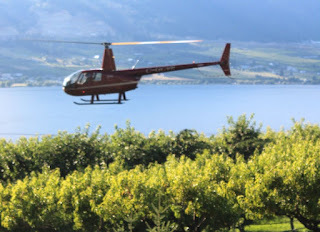 Since we are very early in the cherry season, only a limited amount of the crop is vulnerable. But orchardists and meteorologists will be watching the situation closely. I certainly will--I love cherries and limited supply can cause the price to rise. So the cherries are still fine to eat, but people don't want to buy them because the "look" bad? Or are they actually no longer good to eat? I get frustrated with the pressure farmers face to have perfect looking produce. This contributes to the massive food waste here in the US. 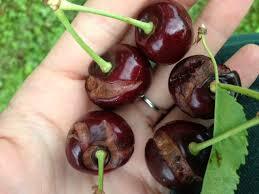 Mold can more easily start growing on the cherries where they have split, so it is not just a cosmetic problem. @Beth - split cherries are still perfectly fine to eat and are even possibly more tastier. However it is not only "perfect look" issue, they are harder to transport too. Beth, they are fine to eat, it's just that they don't store well because the splits give opportunity for spoilage to set in much earlier after harvest. This therefore makes it harder to get good quality fruit onto the shelves of stores and markets. I don't know what has changed, but I haven't tasted a GREAT cherry in long time. They always look fabulous, but their taste is just...meh. Still expensive too. I don't know if they pick earlier to protect from situations such as this or what but they just don't grow cherries like they used to. The split fruit is a loss, it has nothing to do with cosmetics. Unless some odd 10 million people descend on the orchards to eat split cherries.. Have NO doubt they are a tragic loss for already poor farmers. Seriously, transport them and they are mush and mold within hours. 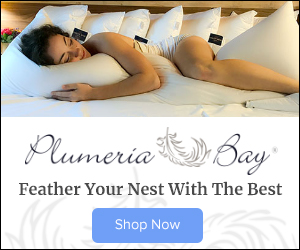 Sure eat them off your back yard tree, but commercial production shipped globally.. NOT! Season already started! First washington cherries were on sale today at Duvall farmers market! I sit here at my desk after studying whether or not the blowing I did with a orchard sprayer made any difference in at least getting some of the moisture off the fruit. Going into the night time hours this moisture will sit on the fruit and possibly "soak" into the fruit causing it to crack, or will it? You know it's pretty cold at 55 degrees. If interested in the science of cherry cracking find the Goodfruit grower article that discusses the work done by Moritz Knoche of Institute for Horticultural Production Systems at Leibniz-University in showing that Malic Acid from the first cell to burst from water intake is ultimately responsible for a cascading affect of cells bursting leading to the cherry crack. Good luck, Mark. If you're growing Rainiers, I can't wait to send some dollars your way shortly. Monoculture's not always a good bet. What Ag magazines are you reading?